If you were asked to count, the numbers you’d say are called counting numbers. 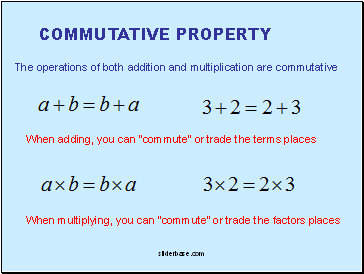 These numbers can be expressed using set notation. 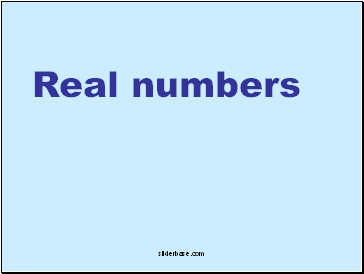 These are also called the natural numbers. 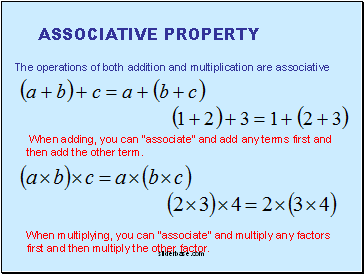 If we include 0 we have the set of whole numbers. 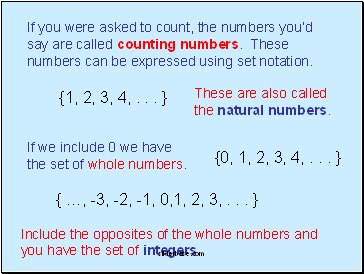 Include the opposites of the whole numbers and you have the set of integers. 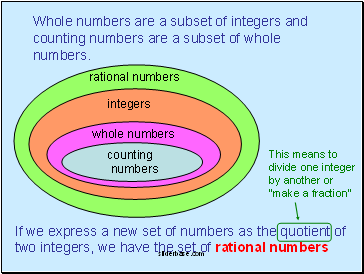 Whole numbers are a subset of integers and counting numbers are a subset of whole numbers. 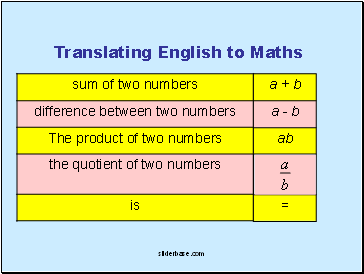 There are numbers that cannot be expressed as the quotient of two integers. These are called irrational numbers. 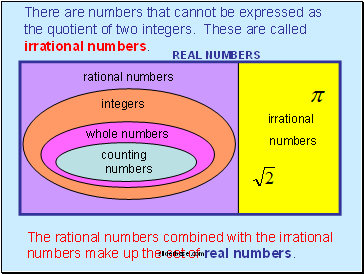 The rational numbers combined with the irrational numbers make up the set of real numbers. 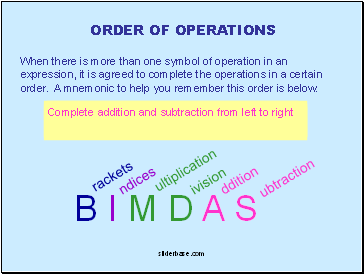 When there is more than one symbol of operation in an expression, it is agreed to complete the operations in a certain order. 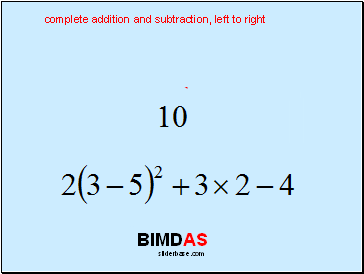 A mnemonic to help you remember this order is below.